Every now and then we get a legacy or a donation in the post via a funeral director where money has been collected for our charity at a funeral instead of flowers or a collection has taken place. We find it really touching that at such a sad time people think highly enough of our humble charity to choose us to make donations. We have wanted for a while to honour those people. 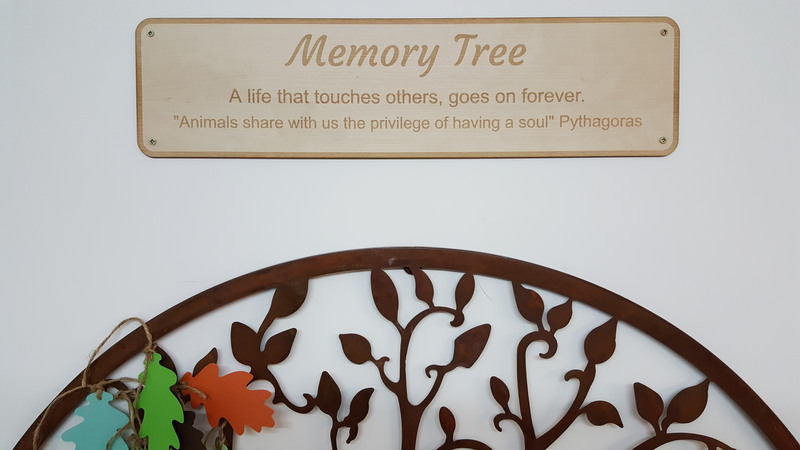 In January 2018, in our reception we erected a “Memory Tree” on the wall, where leaves are being placed to remember those people. Every time we receive a donation via a funeral directors or receive donations in memory of someone, we will place a leaf on the tree with their name on. 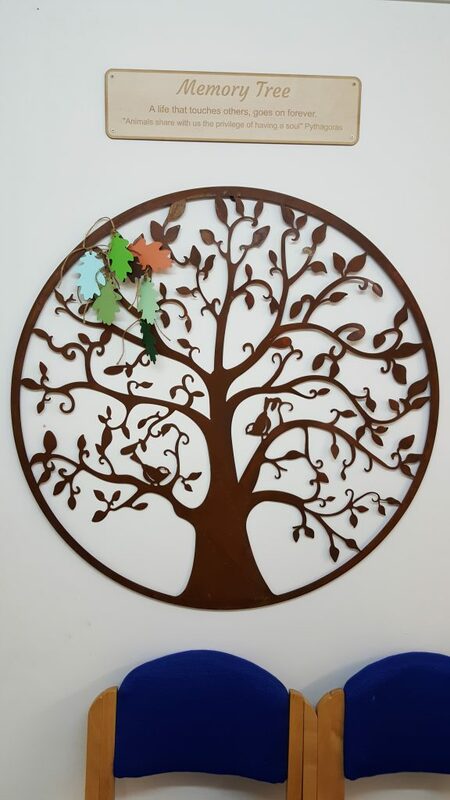 We welcome small groups of relatives and friends to visit, write the name on the leaf and tie the leaf to the tree by arrangement if they wish to do so. For more information please contact Trevor Weeks on 01825-873003. For information about legacies please click here.